the " solution recipes " become extremely complex. 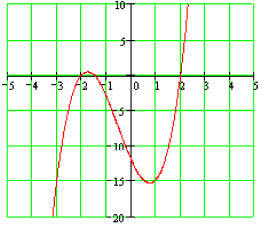 degree two ( quadratic functions ). 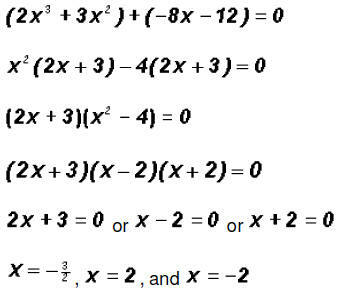 We find the Zeros by setting the function equal to 0 and solve for x. 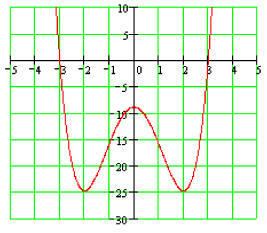 Since the degree of the polynomial is two, we must find two Zeros, not necessarily distinct. 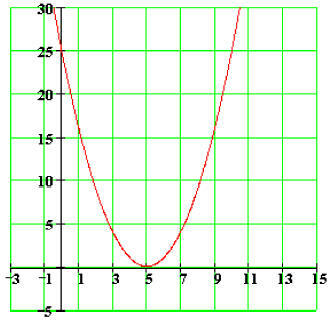 of the graph of the function. 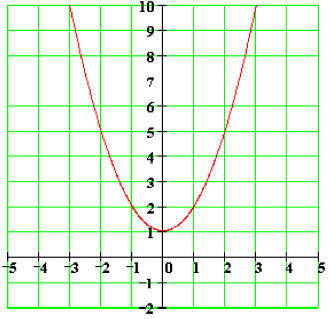 Notice that the x- intercept is also the vertex point as well as the Zero of the quadratic function. 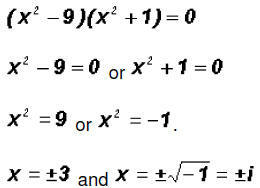 Since the degree of the polynomial is three, we must find three Zeros, not necessarily distinct. The Zeros are -5, -3, and 0. They are also the x-intercepts of the function. to factor the common factor out of the first two terms and out of the last two! The Zeros are -2,-3/2 , and 2. They are also the x-intercepts of the function. 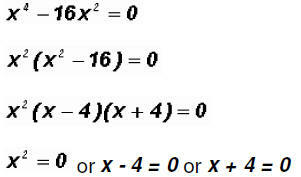 Since the degree of the polynomial is four, we must find four Zeros, not necessarily distinct. 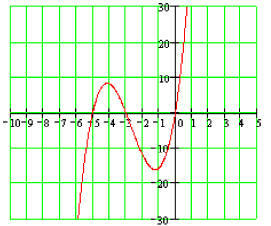 imaginary Zeros are not x-intercepts, however, they still help influence the shape of the graph. 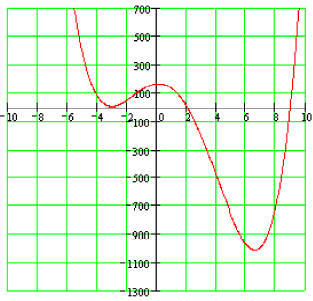 Let's find the Zeros of the polynomial function . factors. It has degree four. we simply add the degrees of each factor. In our case, we get 1 + 2 + 1 = 4. The Zeros are -3 (multiplicity 2), 2, and 9. They are also the x-intercepts of the function. The Zeros are 0 (multiplicity 2), - 4, and 4. They are also the x-intercepts of the function. Notice that we are dealing with a Difference of Cubes ! 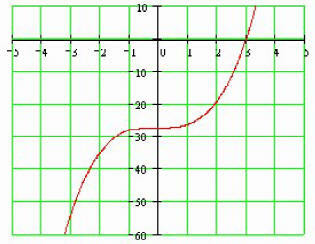 The Zeros are The real Zero is the x-intercept of the function. 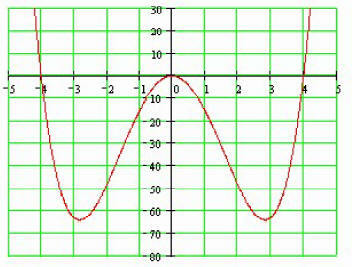 because the polynomial is of degree 3! Notice that we are dealing with a Sum of Cubes ! 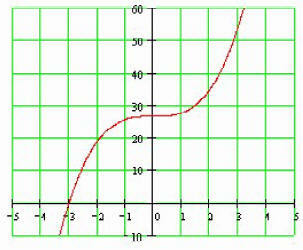 two imaginary Zeros are not x-intercepts, however, they still help influence the shape of the graph. 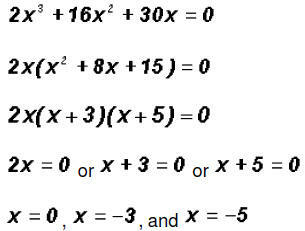 Examples 7 and 10 above!